The first thing to do is set goals for your analytics. For example, if you are having a webinar you might want to study how many people sign up for your webinar and signed up for your newsletter. If you’ve created a white paper you may want to keep track of how many people downloaded the white paper, and if you put links inside the white paper you want to know how many people click through. * Did SEO Work or Not? – Using the analytics that you have available, you can find out if traffic or conversions increased after you updated your SEO on your site and added more content. * What Type of Content Works Best? – You can also find out which posts are more popular and which converted. When you take stock of which blog posts are popular, what do they have in common? * Which Segments of Your Audience Convert at a Higher Rate? – If you use audience segmentation you can find out the segments that covert at a higher rate, which means you can then use that information to target that segment harder. * What New Products or Services You Should Offer – When you determine through analytics what your visitors like most, you can offer complementary products or services, and even new things that they might like based on the data you collect. * Help You Determine New Goals – As you research the data and information that you find in your analytics software, you can actually come up with new ideas for new goals – goals that you might not have come to if you hadn’t looked at the other data. For example, your first goal might be to get people to subscribe to your newsletter, and then you may set up a goal that people on your newsletter list convert to joining your membership site. * Help You Choose the Right Keywords – One thing that Google Analytics and AdWords are really good at is helping you choose the right keywords. Plus, once you download a couple hundred keyword ideas it will also help you decide what type of content to add based on the keyword research. * Help You Identify a Slow Loading Site – Sometimes website designers add too many interesting features that cause a website to slow down. If your website is too slow, visitors will leave and Google will downgrade your website. By keeping tabs on this metric, you can take steps to improve. 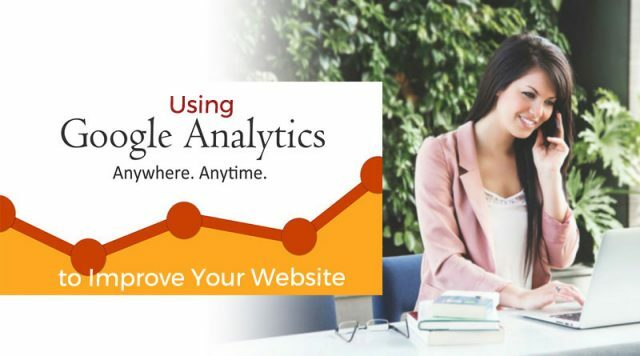 Using analytics to help you improve your website is a great use of the software. You can ensure that your site is up to date, works fast, and has proper navigation and SEO so that you can convert visitors to buyers in no time. New Google algorithm: What is Google Fred?